Our world is not black and white, but anti-black white supremacy can make it seem that way. Refuse the binary, color me conscious! 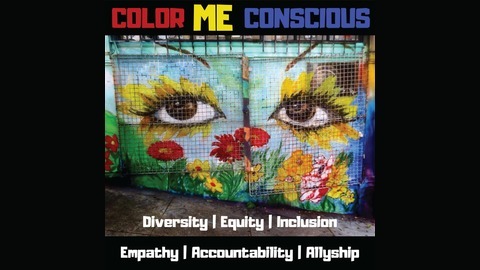 We have more in common than difference, so let’s explore the intersectionalities that unite us and build consciousness about the layers of oppression we all carry. Honest discussions about race in America, white privilege, and dismantling white supremacy. Talking about news, entertainment, politics, culture and counterculture through the lenses of diversity, equity, inclusion, empathy, accountability, and allyship. 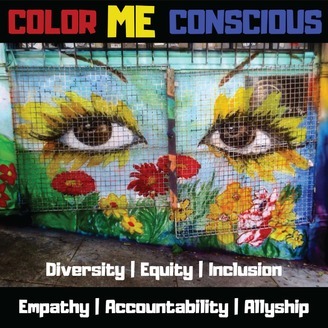 ColorMeConscious, a place to color outside the lines. Join us with special guest AMFT Cynthia Flores in an in-depth discussion about internalized racism. Learn about internalized racism, it’s affects, and how to assess our own racism.